434% More Indexed Pages- that’s what happens to your website when you blog. Studies show that websites that have blogs have an average of 434% more indexed pages on Google. And that’s just an average- the more blog posts, the more indexed pages. What does this mean? It means that websites with blogs have 434% more chances of being found when someone uses a search engine to find something on the internet. Not only that, but search engines love blogs! Why? Because blogs often provide up-to-date targeted information. While your main website remains fairly static over time, your blog adds a new page with new information every time you post a new blog article. And if you do it right and ping the search engines after you post your article, they will come, almost immediately, and index that post, making it available to be found by people searching for the keywords in that post. And not only did the search engines index your new post, but they still have your older posts indexed. I like to tell our clients that their websites are like trot lines in fishing. Each web page and blog post is a hook baited with keywords. 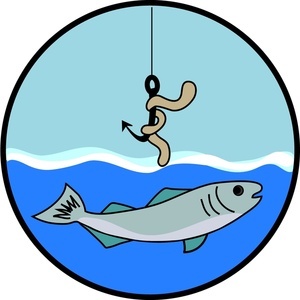 Every time you add a new blog post, you add a hook baited with the keywords in that blog post. If you write only one blog post per week for a year, you will have 52 new pages or hooks for the search engines to index. That’s 52 more opportunities for someone to find your website. Have you written your blog post for this week? Have you given your website another opportunity to be found?